How Can LinkedIn Work for Your Business? With over 187 million members active users*, LinkedIn enables a company to build brand awareness and their company profile. 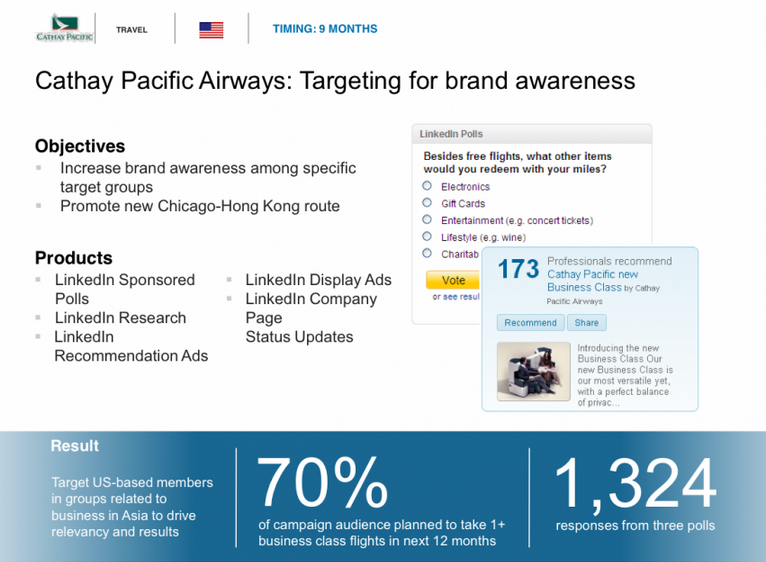 LinkedIn also helps companies gain customer knowledge and competitor insight. So, the answer to the question of “what benefits can LinkedIn bring to my business?”, is that LinkedIn supports businesses of all sizes who wish to enhance their brand, networking connections and industry knowledge. As a result of this, companies must treat LinkedIn as a form of marketing communications and have clear aims and objectives set. In order to achieve this, there are a few basic beginners’ tips that businesses must undertake in order to create an engaging audience and drive traffic to the site. Company Page Updates: Keep your company page regularly updated with company news, press, careers and products information. Branded Banner Image: Add a branded banner to your company page to create brand awareness and trust amongst your audience. Featured and Targeted updates: Create a content plan based on your targeted keywords/phrases for your LinkedIn audience/groups. Then produce valuable and engaging content that your target audience with share and engage with. Like the majority of social platforms, LinkedIn also offers advertising for companies who wish to build a quality following quickly. Below is an example of 5 cases studies, from Business Insider, demonstrating ROI for businesses investing in LinkedIn company pages and LinkedIn advertising. 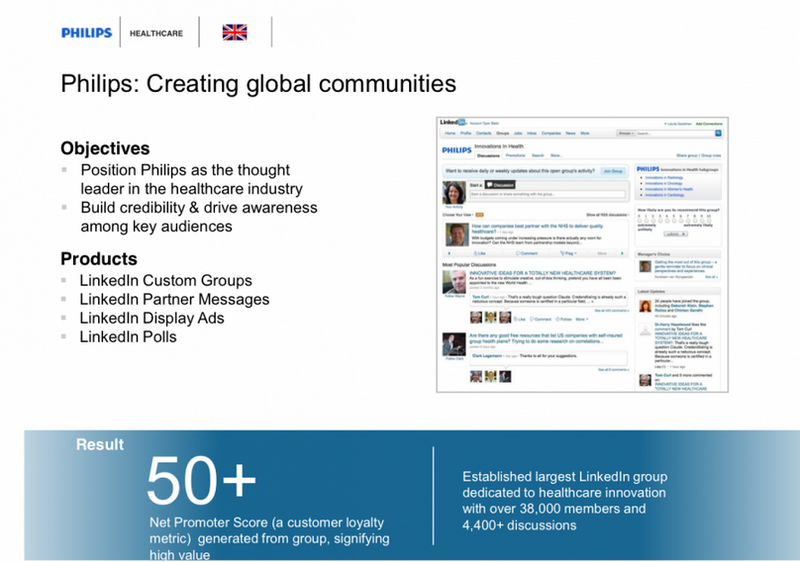 Popular electronics brand, Philips, has an established presence on the LinkedIn platform. They decided they wanted to target the healthcare sector and professionals, which, through a range of LinkedIn opportunities achieved over 38,000 members in their group. 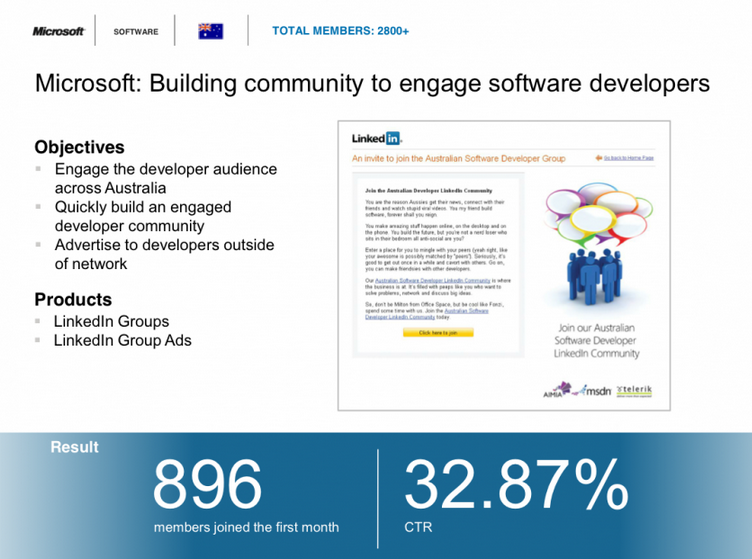 The aim for Microsoft was to create awareness and build a presence within the developer community in Australia, for their future recruitment purposes. As a result of this 896 developers joined it. Their aim was to reach business professionals traveling to Asia on a regular basis. Through LinkedIn they were able to target 1,300 business executives who were looking to take a business flight within the next year. 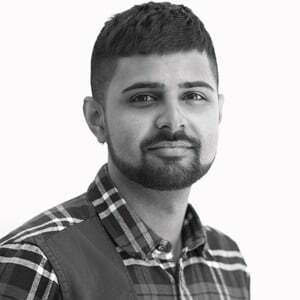 Technology brand HP targeted small and medium (SME) business owners in the UK with the aim of increasing brand awareness as to encourage people buying their technology equipment in the future. 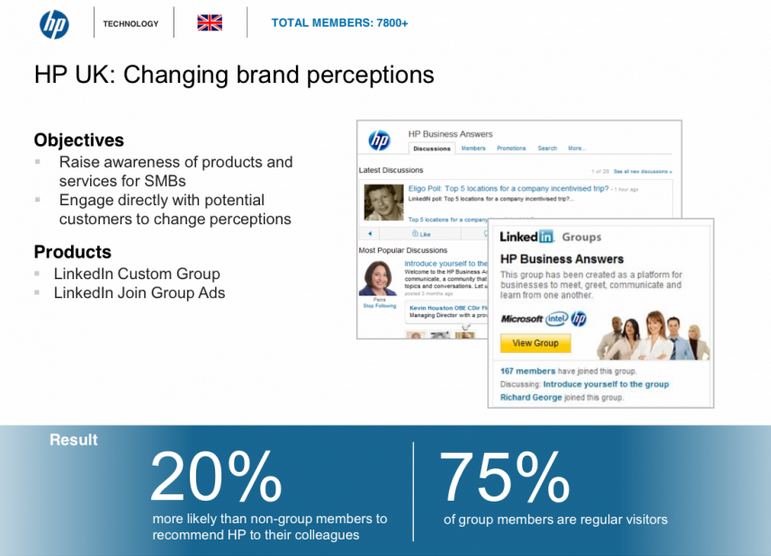 HP's group has grown to over 7,500 followers and 20% of members recommend their products. 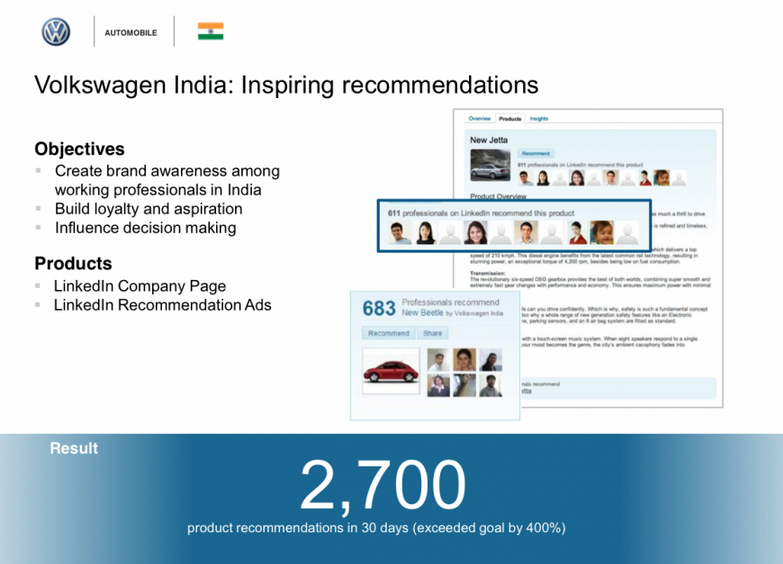 Global car brand Volkswagen wanted to target their market in Indian. Their aim was to achieve recommendations from professionals. It got 2,700 shout-outs in 30 days. Although these are medium to large brand LinkedIn case studies, the principles and objective can be applied to any sized business. If this post has encouraged you to invest in LinkedIn or Social Media Marketing for your business then contact the Return on Digital Social Media Team on 0845 869 0342.